Divorce is a time of incredible anxiety because of the great uncertainty that comes with this major life change. Of the many important questions that must be answered, one of them is this: am I going to leave this process with financial stability? This is a complex question, in which you should speak with a lawyer to advise you based on the details of your specific circumstances. However, we hope the following information can provide you some guidance before your initial consultation. In North Carolina, “marital property” is generally considered any property that is acquired during the course of a marriage. This includes real estate, personal property, retirement savings and pension funds that have been built during the marriage. In contrast, “separate property” is any property that a person owned prior to the marriage or received as a gift or inheritance during the marriage. 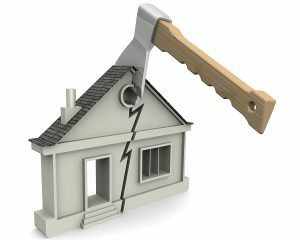 When a North Carolina court divides property between spouses in a divorce, it only divides marital property. Marital property includes both assets and debts. In dividing the marital property, the court is required to make an equitable division of the property. Equitable means a fair and just division. There is a presumption that marital property should be equally split between the spouses; however, equitable does not mean equal, and the court has broad discretion to split property in an unbalanced manner based on numerous factors relating to fairness. What about separate property? It is excluded from the property division and remains with the spouse who had the property prior to the marriage. The ages of the spouses. The income, assets, and liabilities of the couple. The nature of the marital property and how it can realistically be divided. For example, a family business that started during the marriage is a lot more difficult to divide than a savings account. The contributions of each spouse to marital property, or the contributions of each spouse to accumulating debt. The contributions of a spouse as a homemaker. These contributions to the marriage (including care of the children) gave the other spouse the opportunity to work and advance in their career. Whether either party dissipated (or wasted) marital assets following the separation. If you are preparing for a divorce or have been served with divorce pleadings, contact us as soon as possible. Divorces can be highly complex, especially when there are children and significant property involved. In addition, divorces proceedings are time sensitive, and it is critical to get temporary orders to protect your interests at the very beginning. For more than a decade, New Direction Family Law has aggressively advocated for clients getting divorced. Our team has built a reputation as smart, knowledgeable professionals who work tirelessly for our clients. Call our office today at (919) 719-3470 to schedule a consultation, or contact us at our website.